Our #1 Service to our customers is providing them with a discount on their purchase of Evil Energy, the most healthy energy drink on the market. Use "EVILGRAM" Coupon Code to save $$$ on your next Evil Energy purchase or subscription! Our #2 Service is to provide our customers with top-notch drink recipes for their Evil Energy. We custom tailor recipes according to the needs of customer suggestions, as well as what our research presents to us. It is guaranteed that you will find one or more healthy energy recipes that you'll enjoy both making and drinking! Finally, we are working with other product vendors to provide amazing Evil Energy partnered give-aways! Who doesn't like free stuff? We know that you do, and would like the best supplement for energy you can find - Evil Energy. So, we're going to do it as often as possible. Our goal, with all of your help, is to give the world a chance to try Evil Energy, the most healthy energy drink on the market, and to see just how amazing it is. Not only will we give them an amazing energy drink that they can have on its own, but we will provide an energy drink that is the most versatile one on the market when it comes to mixing it with other drinks! Whether you're looking for the best supplements for pre workout, or are looking for the best supplement for energy, Evil Energy is the most effective and best energy boost supplement you're ever going to need. Proving that we're the best simply takes time. With each and every person that tries Evil Energy, we see more and more people loving the product and wanting to switch from their previous energy drink alliances over to Evil Energy. 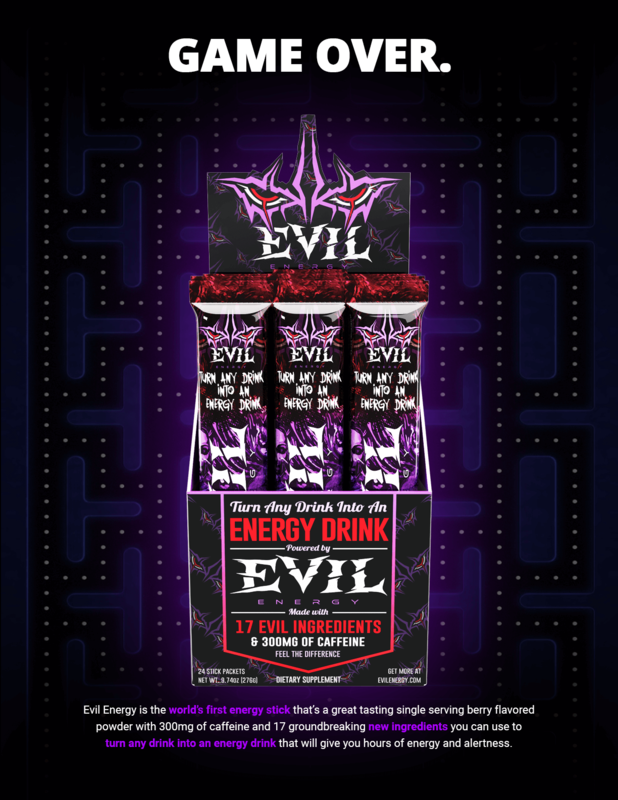 Stronger, healthier, better performing on numerous fronts, and the greatest versatility seen from an energy drink product since their inception, Evil Energy has no limitations upon how big they can get. There is no competition, therefore there are no boundaries. That's the way we like it, and that's how it's going to stay. Be sure to take advantage of our pricing discounts as soon as you can. We can't promise them forever, and we want to be sure that you get the best deal possible on the best energy drink on the market. Coupon Code "EVILGRAM" saves you $$$!